To provide women of the Pacific Northwest, across all ages, who are passionate about running, with the opportunity to come together and celebrate each other and all that encompasses a well-balanced running lifestyle. 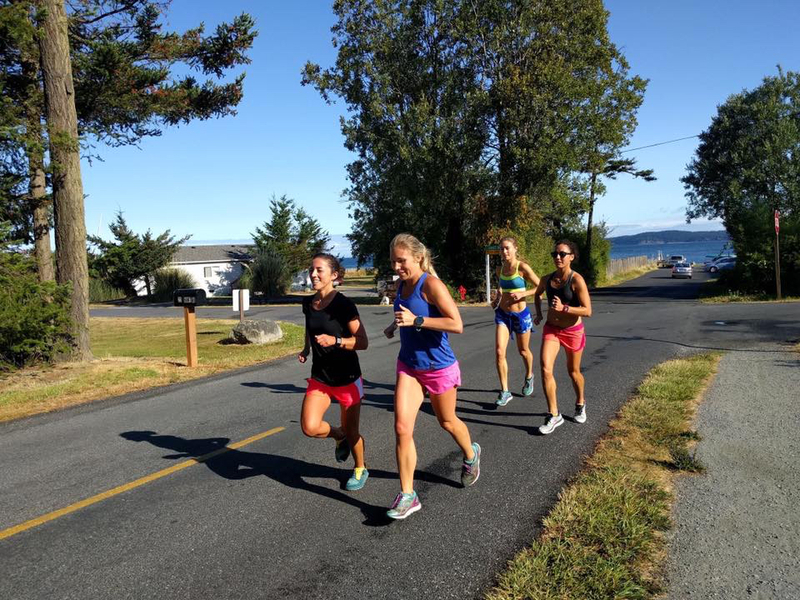 This retreat includes a weekend of running trails through Moran State Park and around Eastsound on Orcas Island, hearing from local experts in the running and health community, and enjoying R & R in beautiful surroundings with fellow runners and friends. While hosted by Club Northwest, this event is open to women across all ages and ability levels who are passionate about running. Check out pictures of our retreat on our Facebook page here. Also, a HUGE thank you to our magical sponsors for 2018's retreat, Perkins Coaching, Brooks, ProShield Insurance and Strategic Living! We have booked the entire hostel for our retreat. There are a range of sleeping options available to meet everyone’s needs! There is a full kitchen with all the kitchen amenities you may need. Parking is free and the lot holds up to 12-15 cars. There is also the option of overflow parking at a park about a quarter mile away from the hostel. The Golden Tree Hostel is located in Eastsound. The Eastsound area includes a downtown area with shops and restaurants and is a 10 minute drive from Moran State Park. The hostel is also within walking distance to the local grocery store as well as Island Hoppin' Brewery. The hostel features the following amenities: shared dorm room style lodging (all bed linens provided), hot tub, sauna, firepit, pool table, indoor common space and eating areas, covered bike storage if you come on your own bicycle, as well as several complimentary bikes for getting around the island. Free wifi, Fully equipped kitchen, outdoor kitchen, and bbq. Moran State Park Trails and around Eastsound. For those running trails, we will be starting from Mountain Lake trail head, which is about a 15-minute drive from Golden Tree Hostel. These trails are super well marked and offer many different options in length and difficulty depending on what everyone is interested doing. We will have multiple groups going different routes and distances. We also recognize that trail running isn't for everyone and so we will also be offering road options through and around downtown Eastsound. We will have the chance to hear from local athletes and experts in the Northwest community. Our lineup for 2019 will also include yoga and opportunities to work with massage therapist, Martha Buldain. The full schedule is TBD, but more info to come! *If you can find a replacement to take your spot, we can issue you a full refund.